We’re San Antonio’s PREMIER Dance Club! The 25,000 square foot nightclub that awaits inside the historic building located at 411 Bonham Street in Downtown San Antonio, Texas. 3 Levels + a massive patio with multiple DJs playing various genres like House, Dance, EDM, Top-40, Latin, & Hip Hop. Heart pounding sound systems and immersive lights shows will overtake your senses the minute you step inside. Over 10+ bar stations house some of the very best bartenders in San Antonio, while our amazing drink specials keep our loyal guests coming back for more! 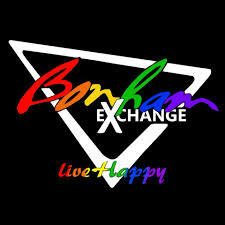 Discover NIGHTLIFE the way it was meant to be experienced inside The Bonham Exchange. PRIDE in the HEART of SAN ANTONIO!